CityJet says there simply isn’t the demand to sustain the route. File photo of a CityJet plane. CORK AIRPORT IS to lose a route to London City Airport. The news comes today as CityJet pulls out of the airport just a year after opening the route. Pat Byrne, CityJet’s executive chairman said that the move came because demand simply isn’t there. “In contrast to what we believed to be well-founded optimism when we launched this route last year, we are faced with the reality that demand for this service has simply not taken hold in terms of sustainable commercial viability. All the indicators suggested there would be strong support from both business and leisure communities, especially in view of the very significant convenience of City Airport due to its close proximity to the City of London and indeed the West End. “There is a cost of this convenience as London City is probably one of the more expensive airports in Europe for airlines from an operational standpoint. The 18 weekly flights will end as of 26 June. 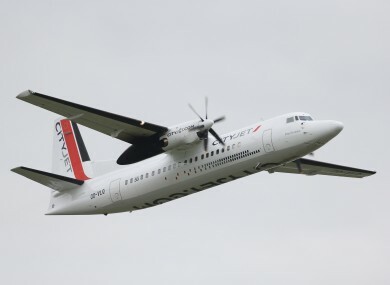 CityJet has confirmed that its summer services to Nantes and La Rochelle from Cork Airport will operate as scheduled. It is also operating a charter to Menorca for Stein Travel and Lee Travel which is not affected by today’s decision. The move comes as a blow to Cork Airport, which is currently at the centre of a row over a route to Boston. Airlines make decisions based on the commercial viability of routes and unfortunately the service to London City was not profitable for CityJet. Cork Chamber said the news is “disappointing”. Their president Barrie O’Connell said the closure is a “timely reminder for business and leisure users in the region that where a new route is added from Cork Airport proactive support is necessary to use the route and ensure the route is sustainable over time”. Email “The only route from Cork to London City is to be cancelled”. Feedback on “The only route from Cork to London City is to be cancelled”.